Don’t look now, but autumn is upon us! The leaves are changing to amazing colors and the air is crisp. And, if you look about, you will see that fall’s ever-popular flavor is making its annual appearance around every corner! Yep, it’s time for pumpkin! In our coffee, on our bagels, even our toaster pastries and cereals are getting in on the act. 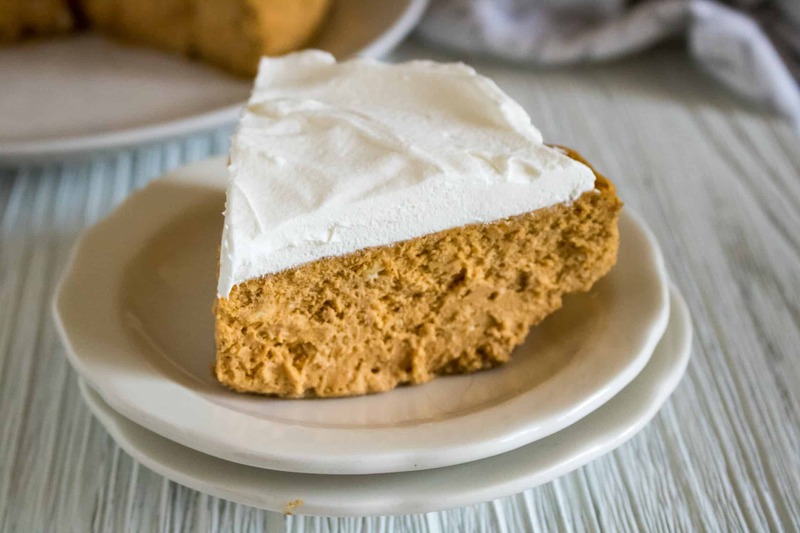 However, nothing compares to the creamy deliciousness of this Instant Pot Pumpkin Cheesecake recipe! The first two words of the recipe give the first reason away. 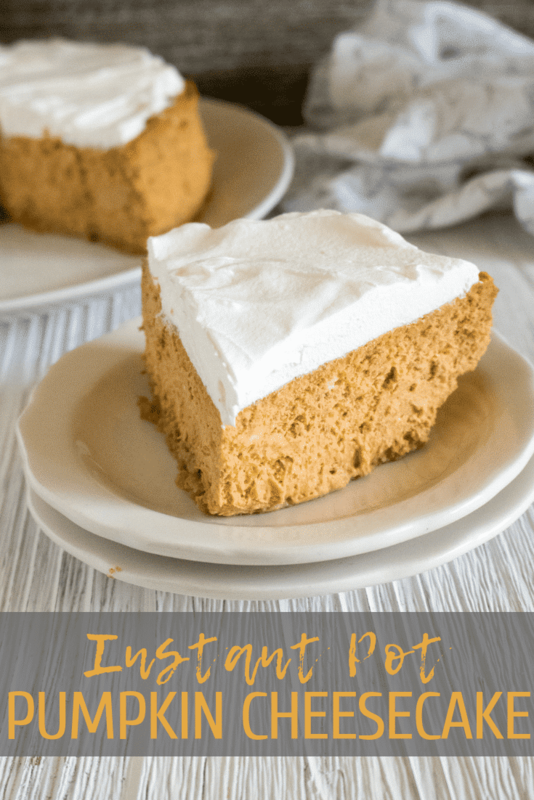 Instant Pot = quick and easy! We have fallen in love with this popular kitchen appliance. 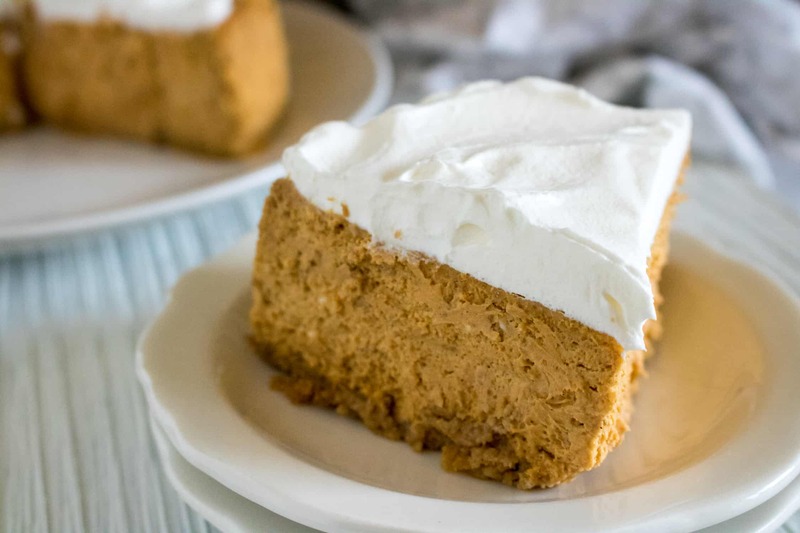 We love it for making quick and tasty entrees, but you’ll be thrilled to know it can help you quickly whip up this creamy, delicious Instant Pot Pumpkin Cheesecake. 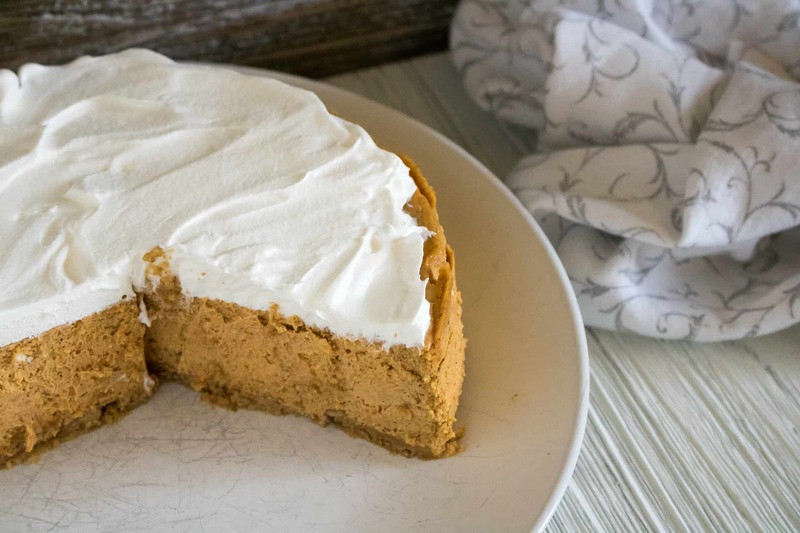 You have another way to enjoy autumn’s all-time favorite pumpkin flavor in a rich, creamy, delectable cheesecake. Take this to your next party or pot-luck and get ready for everyone to ask you for your secret recipe. Check out the recipes below for additional delicious desserts! Hummus is all the rage these days. You can find it in almost every flavor imaginable and pumpkin is no exception as this recipe for Dessert Pumpkin Hummus shows. (Here’s a hint: it also doubles well as an appetizer). 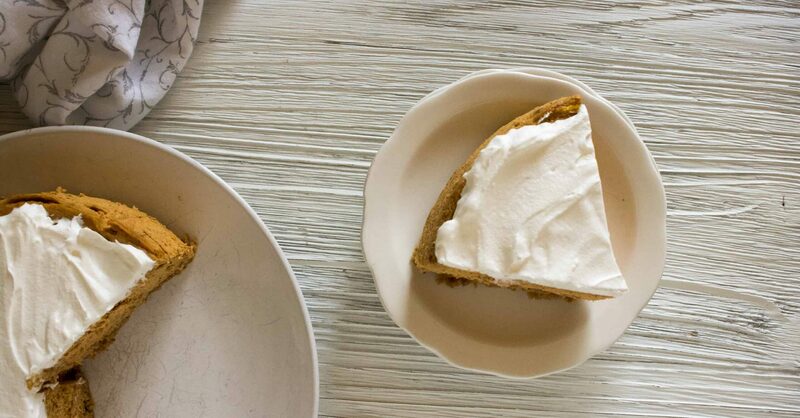 In the mood to start the day with some pumpkin flavor besides in your coffee? Try these moist and delicious Pumpkin Muffins with Cream Cheese Glaze and get the day started right. Don’t count pumpkin out on the entree front as well! This Hearty Pumpkin Soup is a warm, delicious way to enjoy pumpkin as a lunch or dinner entree. Step #3: Mix in the pumpkin and spices. Step #5: Pour into springform pan on top of the graham cracker crust. Step #7: Cover with foil. Step #8: Pour two cups of water into the inner pot of the Instant Pot. Step #9: Make a sling out of aluminum foil to lower the pan into the Instant Pot. Step #10: Close the lid of the Instant Pot and turn to sealing. Step #11: Set for a manual high-pressure time of 35 minutes. When the time has finished, allow for a natural release for 12 minutes before letting out the rest of the steam. Step #12: Cool on the counter for an hour and then put in the refrigerator and cool for an additional 4 hours. Mix in the pumpkin and spices.